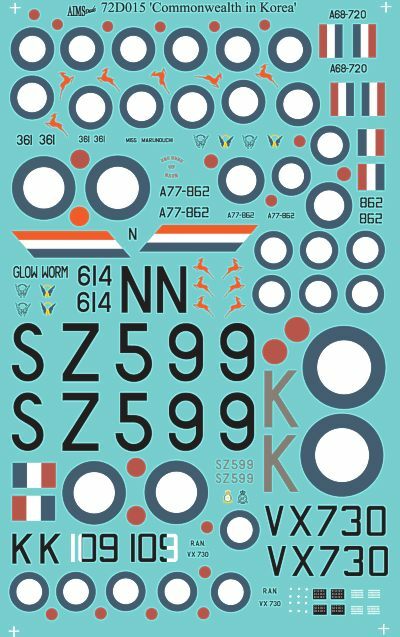 Cyber Hobby released its very first plastic kit of a Gloster Meteor F.3 last year (Item No.5044), and it was an instant success. 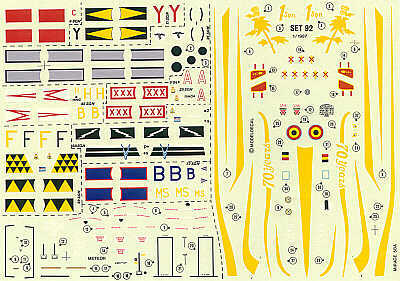 To respond to modelers' requests for more, Cyber-Hobby is following up with another inspirational kit of this famous British fighter. 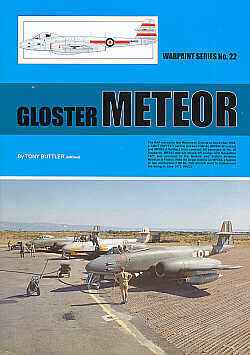 The Meteor earned its place in history by being the first British and Allied operational jet fighter. 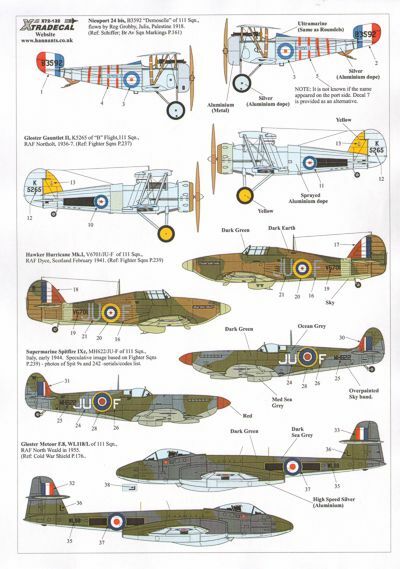 It entered the ranks of the RAF in July 1944, and it served for a further ten years as Britain's primary frontline fighter aircraft. The Meteor F.1, the subject of this kit, was the original production variant, and it began equipping No.616 Squadron of the RAF in June 1944. The squadron's first mission was shooting down German V-1 flying bombs over England, with the aircraft forbidden from flying over German territory in case the jet engine technology fell into enemy hands. This initial production version of the Meteor was powered to a top speed of 670km/h by Whittle W.2 jet engines. 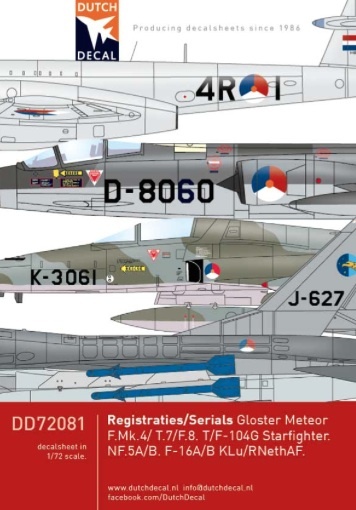 The new Cyber-Hobby plastic kit of this initial Meteor F.1 variant comes in 1/72 scale. The aircraft is accurately shaped thanks to the use of the latest high-tech slide molds. 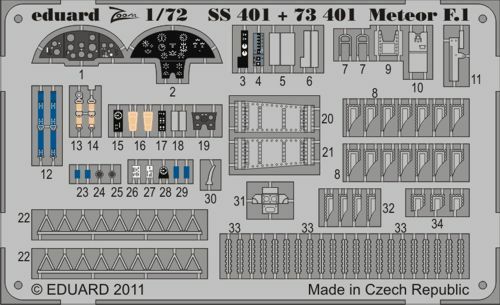 The fuselage is well detailed with panel lines, and particularly eye-catching are the new parts that create the detailed Whittle jet engines. The exquisite twin engines are also installed upon brand new wings. Of course, this kit features a brand new cockpit canopy with the accurate shape. 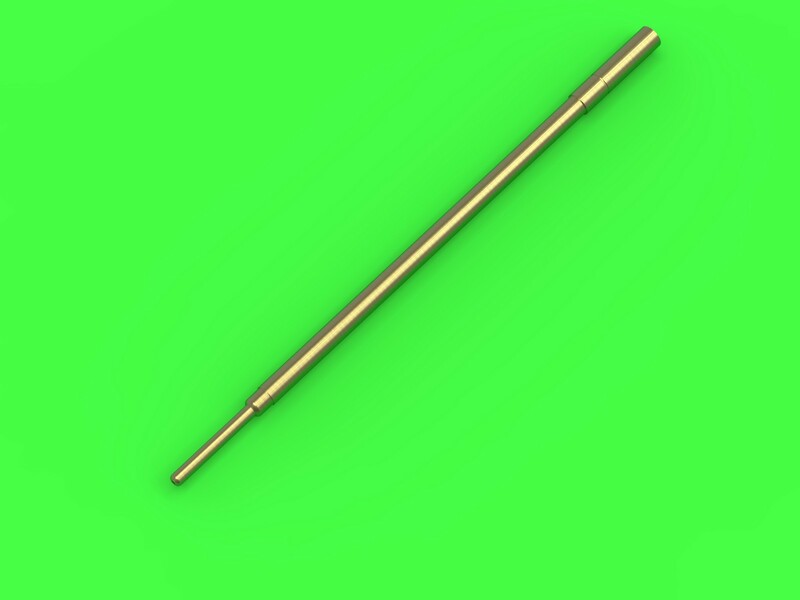 With this new transparent part, modelers will be able to view all the intricate detail inside the cockpit. 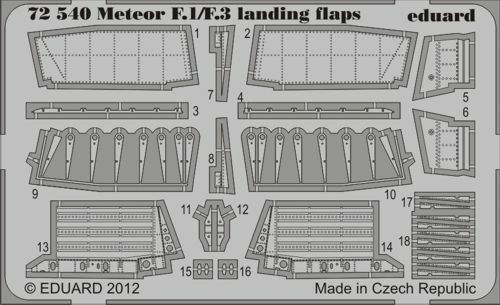 This is a superb Cyber-Hobby kit, and it is the perfect follow-on to the Meteor released earlier. Gloster Meteor F.8 (12) WH480/M 41 Sqn RAF Biggin Hill 1952; WK738/M 66 Sqn RAF Linton-on-Ouse 1953; WH445/S 615 Sqn CO S/L Sowery RAuxAF RAF Biggin Hill 1953; WK786/W 72 Sqn CO S/L Clive Mason RAF North Weald 1952; WF741/K 500 Sqn CO S/L de Villiers RAuxAF 1953, all overall high speed silver. WK976/A 19 Sqn RAF Church Fenton 1956; VZ464/M 63 Sqn RAF Waterbeach 1955; WL161/J 604 Sqn RAuxAF RAF North Weald 1957; WL181 The College of Air Warfare RAF Strubby 1960 with large dayglo red areas; WF654/R 64 Sqn RAF Tangmere 1955; VZ494/L RAF Addlington 1956, all DG/DSG/HSS. 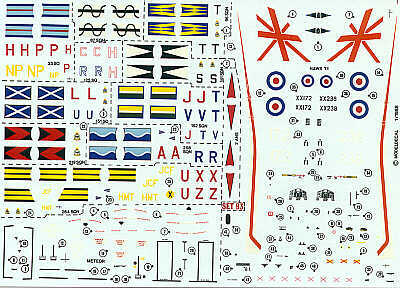 WE876 1574 Flight, RAF Tengah 1960s Target Tug use X72115 for dayglo orange stripes . 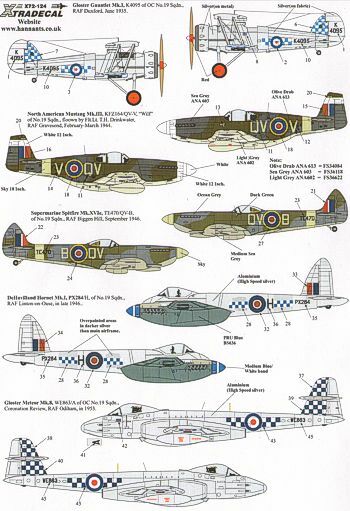 History of RAF 19 Sqn 1935 - 91 (8) Gloster Gauntlet Mk.I K4095 Duxford 1935; North-American P-51B Mustang III FZ164 QV-V 'Wilf' Flt.Lt. T.H.Drinkwater RAF Gravesend 1944; Supermarine Spitfire Mk.XVIe TE470 QV-B RAF Biggin Hill 1946; de Havilland Hornet F.1 PX284/H RAF Linton-0n-Ouse 1946; Gloster Meteor F.8 WE863 Coronation Review RAF Odiham 1953; Hawker Hunter F.6 XG152/X RAF Church Fenton 1958; McDonnell-Douglas FGR.2 Phantom XV474/F RAF Wildenrath at Jubilee Review RAF Finningley 1977 green/grey camouflage; McDonnell-Douglas FGR.2 Phantom XV419/AA RAF Wildenrath 1991 Camouflaged Grey with Blue fin. RAF 111 Squadron History 1918 - 2011 (9) Nieuport N.24 bis B3592 Reg. Grobby, 'Demoiselle', Palestine 1918; Gloster Gauntlet II K5265 B Flight RAF Northolt 1936; Hawker Hurricane Mk.I V6701 JU-F RAF Dyce 1941; Supermarine Spitfire Mk.IXc MH622 JU-F Italy 1944; Gloster Meteor F.8 WL118/L RAF North Weald 1955; McDonnell-Douglas FGR.2 Phantom XT874/O loaned to 111Sqn by 65 Sqn. 228OCU, RAF Leuchars 1978; BAe Tornado F.3 ZH554/HX JU-C coded for Flt.Lt.S.D.P.Connors DFC shot down 18-8-40; ZE791/HF JU-L coded for Sgt.W.J.Dymond DFM shot down 2-9-40, both 90th Anniversary of the Battle of Britain RAF Leuchars August 2010; ZE791/HF in special Squadron Disbandment scheme commemorating 25 Years of Tornado operation 2-4-2011.